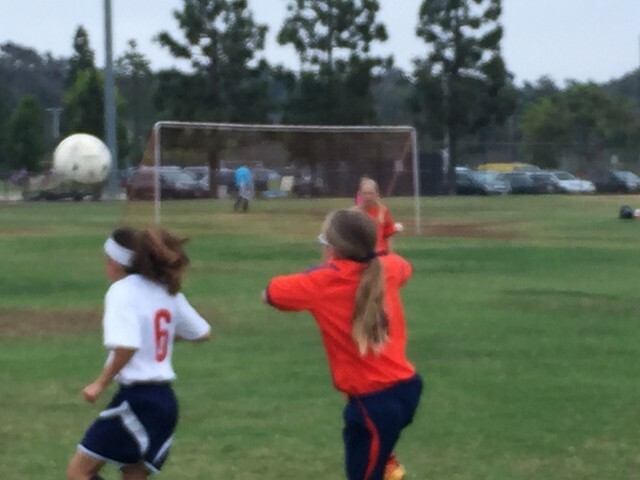 Melanie receiving the throw-in from her friend, and fellow B-team member last year, Ali Fero. 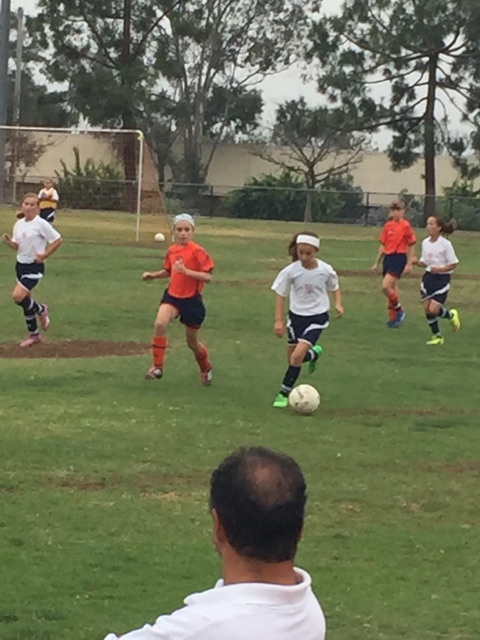 On the move, under the watchful eye of Coach Cha Cha Namdar. 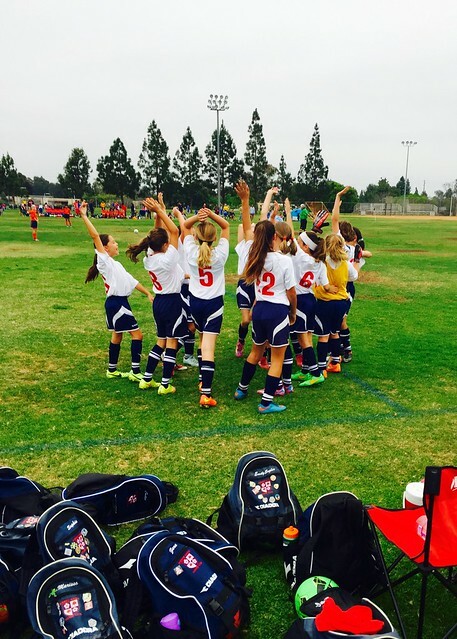 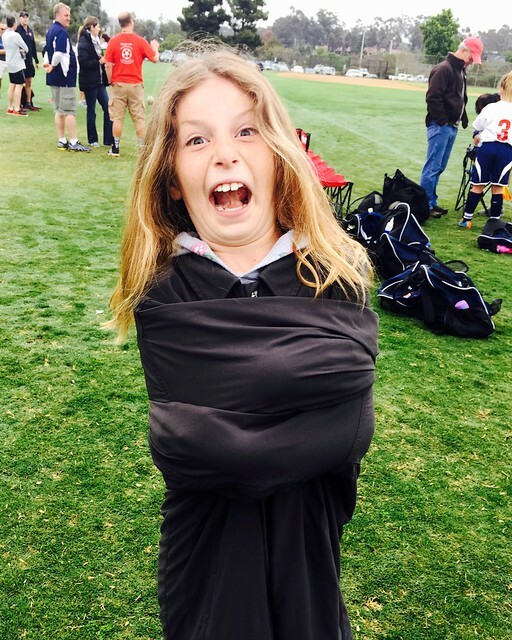 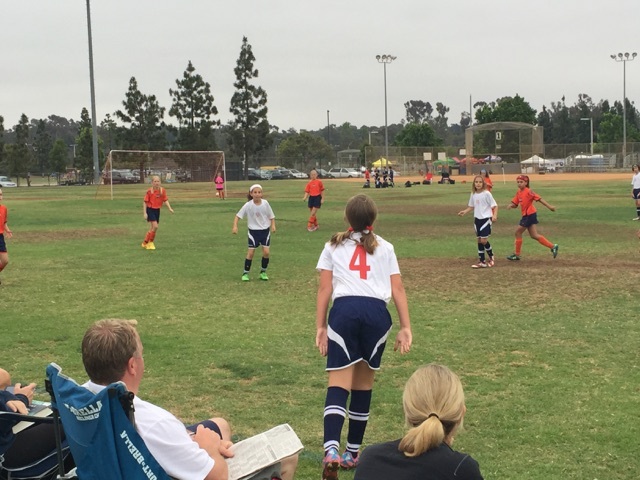 Four of her sister's soccer games in one weekend turned out to be a bit much for Jenna.